Microsoft shrugged off HD DVD's demise on Tuesday, declining to say if or when it would support Blu-ray Disc for the Xbox. Microsoft steadfastly backed HD DVD, selling an external drive for the Xbox for US$129.99. 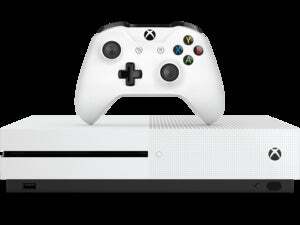 That offer was still on the U.S. Xbox Web site as of Tuesday, despite the news that Toshiba will scuttle the format. Toshiba had been the lead electronics manufacturer in a coalition of companies pushing that format but content producers have thrown their support to Blu-ray. Microsoft's decision to make the HD DVD drive external rather than within the console "was quite a strategic move on their part," said Paul O'Donovan, principal analyst with Gartner. However, it's inevitable that future Xbox versions, as well as other gaming systems aimed at tighter integration with entertainment systems, will incorporate Blu-ray Disc drives, said O'Donovan. The Xbox currently has a standard DVD drive. Sony gained momentum for its Blu-ray player by putting it in its PlayStation 3 console, according to research company IDC. The PS3's "dual roles as a gaming console and a next-generation DVD player have made it an important part of the format war," according to the report. Prior to Toshiba's announcement, Microsoft downplayed the rumors of HD DVD's death, contending buyers are more interested in gaming functions. "We do not believe the recent reports about HD DVD will have any material impact on the Xbox 360 platform or our position in the marketplace," the company said in a statement. "It is premature to speculate but we do know from market data that HD movie playback is not a primary purchase driver for consumers buying video game consoles." Microsoft, which started selling the external drive for $199 in late 2006, has dropped the price twice, to $179 last August finally to its current price, which varies by region. O'Donovan agreed the company likely won't face declining sales of its Xbox gaming console. But Microsoft's greater problem may be getting rid of the external HD DVD drives in its inventory. HD DVD is "dead and gone" now, O'Donovan said.